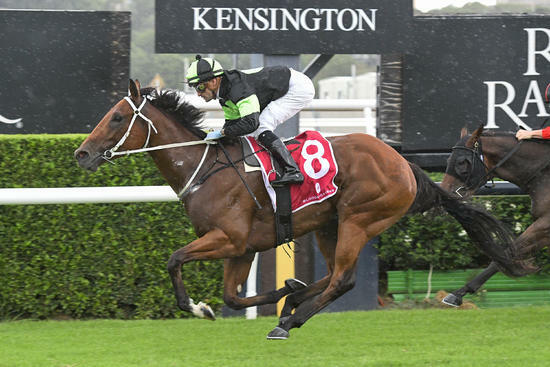 Flying filly KYLEASE could find herself in a Group 3 contest as early as this Saturday. The Joe Pride-trained 3YO has been nominated for the JHB Carr Stakes (1400m) at Randwick this weekend which, if we decide to run, will be 10 days since she posted a hat-trick of wins at Gosford last Wednesday. The alternative for the daughter of CHOISIR is the Group 3 Hawkesbury Guineas (1400m) held on the following Saturday. There are six other potential runners in the week ahead, including SO SPIRITED and FRANCISCA at Doomben, as Proven Thoroughbreds and trainer Steve O'Dea aim for a seventh Brisbane Saturday winner this year. Comment: Forget run at only previous start when caught wide without cover. First-up here off two solid trials and crucially, has drawn to get some cover. Comment: Sound return from a freshen up when running on into sixth over 1300m at Randwick. Gets back to his home track here and over a distance that has yielded all five of his career wins. Looks a great each-way chance. Comment: Highly promising filly shooting for four consecutive wins. This her first foray into stakes racing but looks every bit up to it. Comment: Enormous run at his Queensland debut when wide throughout before beaten half a length in a blanket finish at Toowoomba. A repeat effort would see him go close again. Comment: Has been desperately unlucky not to win this preparation, beaten less than half a length in four of five starts. Should be a major player again. Comment: Was backed to win first-up over 1200m here but suffered interference mid-race, hitting the rail on multiple occasions before just plugging to the line. Looking for him to improve sharply with a kinder run and up in trip. Comment: Beaten more than six lengths in a hot race at Doomben last start (winner has since placed at stakes level). Won impressively prior to that and drop in grade looks favourable.